Harry Wurmsdobler (Arcadia) - Book Appointment Online! Welcome to my office. We've helped thousands of patients in Arcadia, CA and the San Gabriel Valley overcome a wide variety of musculoskeletal ailments and injuries - from sports injuries like sprains and strains, to auto accident injuries. 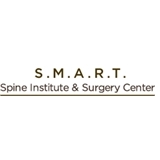 The doctors and staff at SMART Spine Institute are committed to providing the highest quality care in the areas of: - Pain Management - Physical Therapy/Sports Training - Chiropractic Care - Orthopedics - Acupuncture - Rehabilitation - Sports Medicine - Massage Therapy We have successfully helped thousands of injured patients with spinal, sports, work-related injuries and auto accidents. Our team of doctors, therapists and personal trainers, will provide a personalized program for each of our patients' special needs. Upon walking into the waiting room, I was impressed with the overall layout, and cleanliness of the facility. The receptionist where every friendly and got me signed in right away! After filling out the paperwork, I was taken back to get x-rays. Dr Harry came right in, and got started with the x-rays. He explained to me what we where looking at after, and the areas that visibly where abnormal. (Neck, Back, Lower Back.) He answered all my questions and was very patient, excellent bedside manner! I was than taken into a room where I received electric shock therapy, the gentleman that took me in was very kind, and explained to me what he was doing. After the electric shock therapy was over, the Dr. came right over, and did some work on my back, and neck. I have never had my neck cracked, but I must say it felt incredible. Dr Harry asked if I had any further questions, and recommended some follow up. I scheduled them on the way out with the reception desk. Look forward to going back! I feel much better the following day! Great office, clean, organised, and there is a surgery centre attached. I would highly recommend this office to anyone looking for a chiropractor. Great place, great staff, give it a shot!